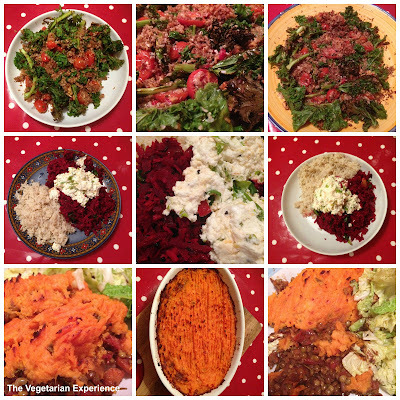 I have previously reviewed a Riverford Recipe Box and very much enjoyed it, and so when I was approached to sample a Vegetarian limited edition Guest Recipe Box created by Guest Chef Anna Jones I was excited to get cooking with it. Anna Jones is a protege from Jamie Oliver's "fifteen" restaurant and is unique amongst chefs in that she believes that vegetables should be the main ingredient of a dish (always refreshing for a Vegetarian to hear). Anna works as a stylist and food writer in London and has worked with some of the best-loved food brands, cooks and chefs of our time, including Antonio Carluccio, Mary Berry and Yotam Ottolenghi. The recipes created by Anna are inspiring, and simple for anyone who is looking to get dinner on the table without a fuss or having to compromise on variety and depth of flavours. As always, the huge benefit of ordering a Riverford box is that as well as receiving a box full of delicious organic produce, all of the extra ingredients are pre-weighed out into small containers, so that there is no extra shopping, weighing out ingredients, or throwing away excess food. Each Recipe and Box comes equipped with a recipe box to tell you what to cook and what ingredients to use. I found that the recipe sheets fitted the timings given on the recipe perfectly and the quantities were also really good on them, so very accurate recipe sheets. We made the Warm Kale Salad first, which took around thirty minutes to make. This was a fantastic recipe. I loved the saltiness of the Kale mixed with the juicy sweet tomatoes - a perfect flavour combination and the Quinoa also added some texture to the dish. The meal was very filling and I loved the concept of a warm salad. Next we tried the Beetroot Curry which took about an hour to make. I have to say that although I very much liked the taste of this dish, grating all of the Beetroot left me with completely red stained hands, so perhaps a small pair of disposable gloves would help as it was rather messy to grate it all. Due to this, this was my least enjoyable recipe to make, although I did enjoy the taste and the cottage cheese mixed with the herbs and the lemon juice was a highlight of this dish. 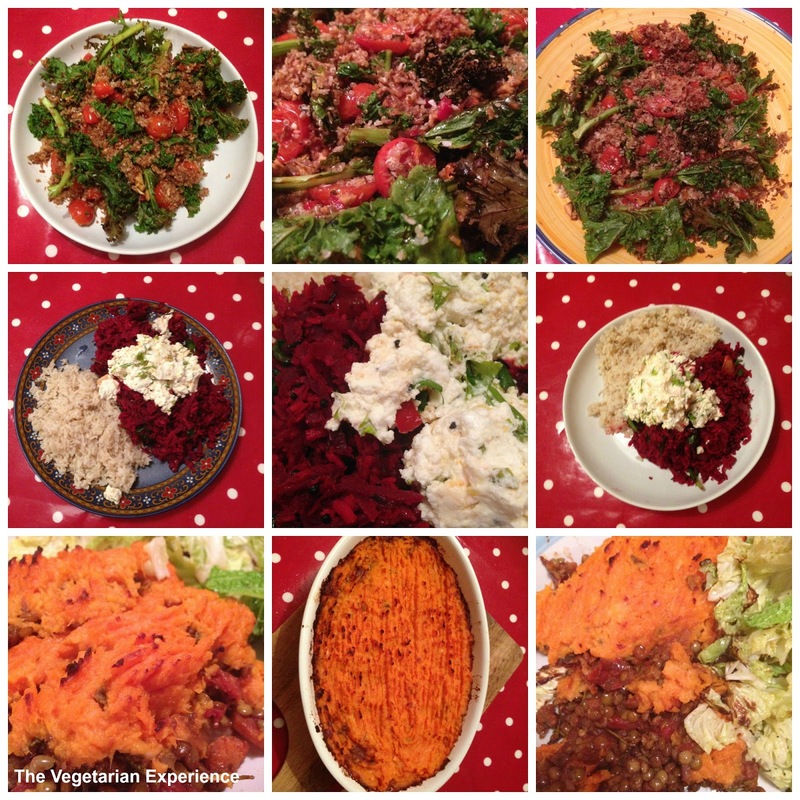 The last dish we cooked was the Sweet Potato and Puy Lentil Pie. I don't tend to use lentils too much in cooking which is odd for a vegetarian but I always think they need to pre-soak. The puy lentils I used could be used straight away and once cooked offered just the perfect texture of a pie filling. I also loved the idea of making the pie with sweet potato instead of regular potato. This dish was by far my favourite and is perfect for those Autumn and Winter Nights rapidly approaching. I really enjoyed making the recipes and thought that the end products were absolutely delicious. These recipes are a great way of cooking something creative and a little "outside the box" whilst also packing your diet full of veg and not compromising on flavour. Disclosure: Product offered in consideration for review.